The Rashtriya Swayamsevak Sangh (RSS) has asserted that the construction of Ram temple in Ayodhya should begin now so that it can be completed by 2025. "We strongly want that this temple should be built in Ayodhya. It should be completed by 2025. Now, it is up to the central government to take a decision on it. 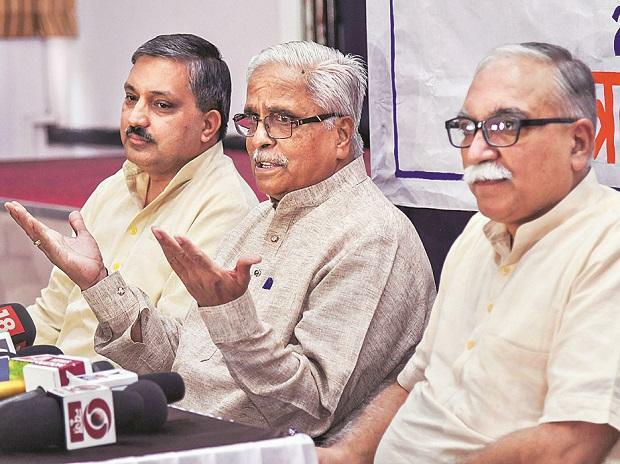 If it begins today, construction will be completed in five years," RSS general secretary Bhaiyyaji Joshi told media on Friday. The Babri Masjid, built by Mughal emperor Babur in 1578 in Ayodhya was pulled down on December 6, 1992, allegedly by a group of Hindu activists, claiming that the mosque was constructed after demolishing a Ram temple that originally stood there. Since then, several hearings have been held in the Supreme Court to resolve the issue. The Lucknow bench of the Allahabad High Court in its September 30, 2010, verdict ordered that the disputed site be divided into three parts -- one for deity (Ramlala Virajmaan), another for Nirmohi Akhara - a Hindu sect - and a third one, to the original litigant in the case for the Muslims. The Ram Janmabhoomi-Babri Masjid dispute case has been pending before the apex court for last eight years. Parties in the case and various right-wing organisations have been asking for an early or day-to-day hearing for a long time. There are as many as 14 appeals pending in the top court against the 2010 Allahabad High Court judgement, delivered in four civil suits. The Supreme Court recently fixed January 29 as the next date of hearing in the Ram Janmabhoomi-Babri Masjid dispute after Justice UU Lalit recused himself from hearing the case.